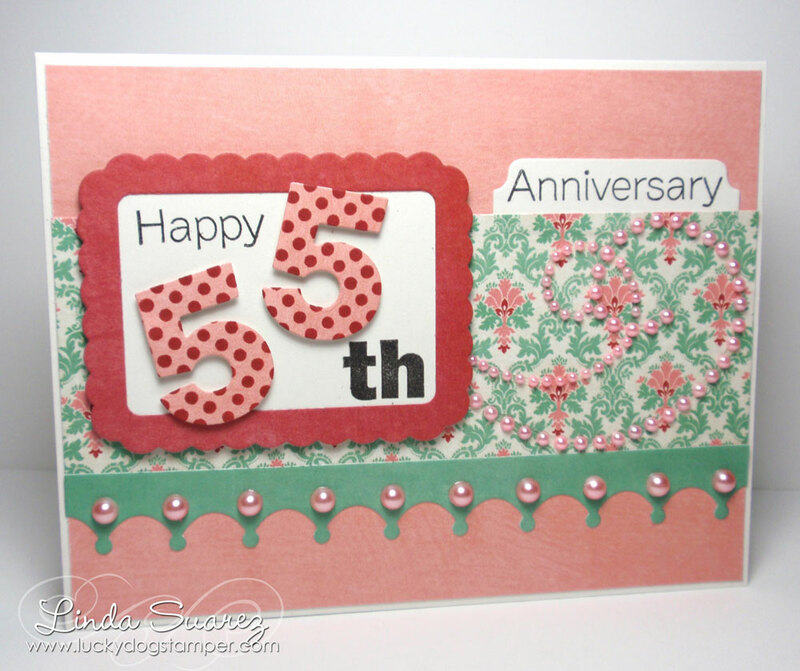 Later this week my parents celebrate their 55th wedding anniversary. Way to go folks! It's the first time I've used the By the Numbers stamps and dies from My Favorite Things and it is definitely fun. 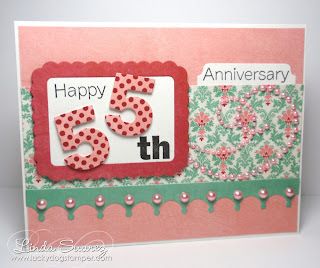 I liked stamping the polka dots on the numbers with the little background polka dot stamp. Very cute! I'm off to mail it now!